Danfoss Trata – SIMTEC EUROPE d.o.o. 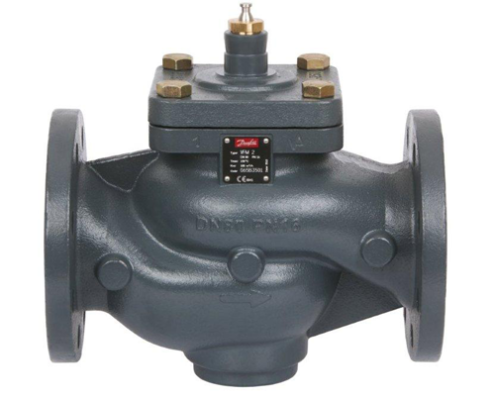 Danfoss Trata is a part of District Energy Division, one of many divisions of Danfoss Corporation. The company plays an important role in the division as it is the main centre of development and production of controls for district heating and cooling. The product portfolio ranges from temperature, pressure and flow controllers to balancing and motorised control valves. 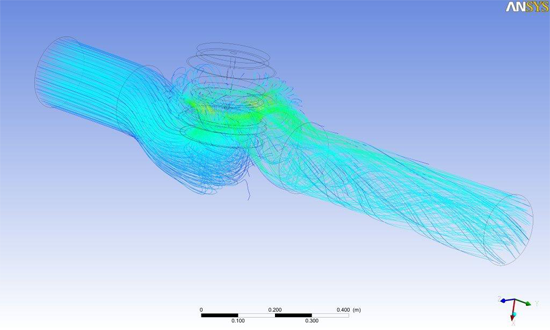 The cooperation with Simtec dates a few years back when CFD experts helped us with a new generation balancing valves and this was already very early introduction into world of CFD analysis. Latest project where CFD was a helpful tool is with the newest generation of motorised valves called VFM2 family. 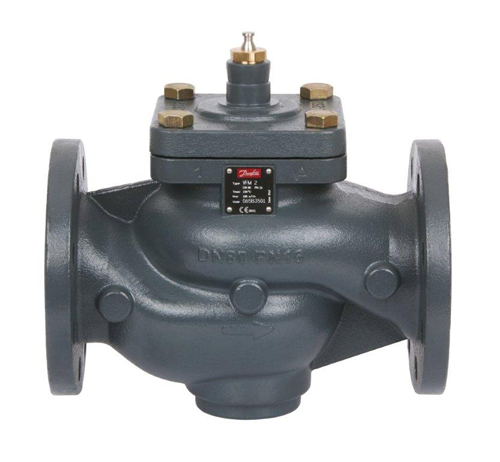 The new generation of heavy duty motorised valves VFM2 was developed for heating, district heating and district cooling systems. 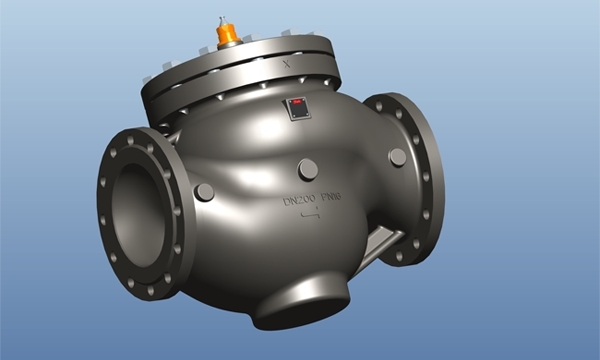 The aim of the project was to offer new valves with pressure relievement and increased capacity for largest flow possible. Optimal pressure relievement is important because it affects the force on the spindle. If the force is too high the electrical actuator is unable to overcome it making it impossible to close the valve. In this respect it is crucial for safe operation of the valve. 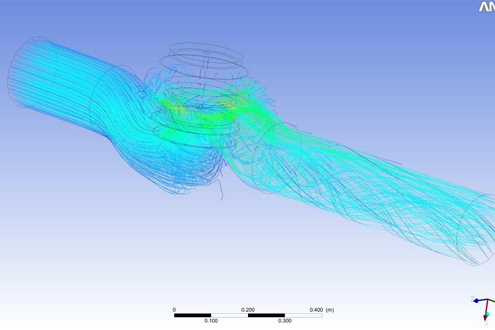 CFD was used to determine pressure field in the valve. 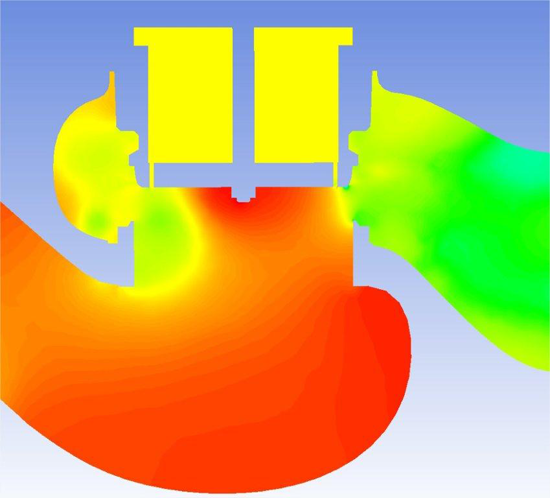 That enabled to set optimal location for pressure relievement reducing the prototype testing time. 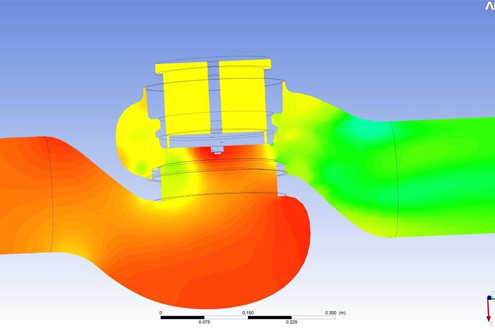 Second task was to optimise flow through the valves to increase capacity and characteristic of the valve. 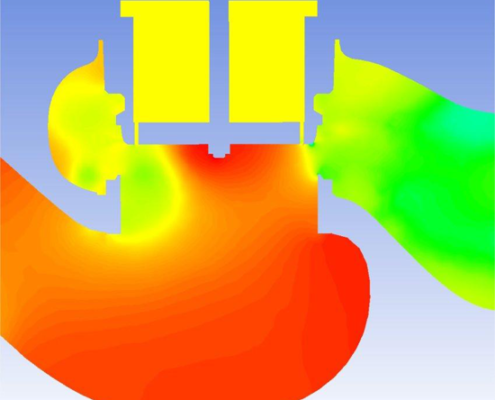 CFD analysis, among other tools, led to conclusion that project will greatly benefit with design of new housings. The capacity was increased for over 30%.